Ford EcoSport and the Mahindra TUV300 have been battling it out in the sub-4m UV segment since the latter’s launch. 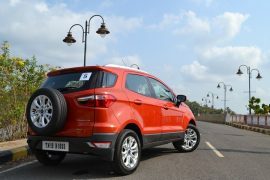 Last year, Ford updated the EcoSport with more power and a bunch of new features and they also slashed the prices of the compact SUV recently making it an even more attractive proposition. Now, Mahindra, based on customer feedback and feedback from the media fraternity has launched a more powerful variant of the TUV300 with the mHawk100 engine. 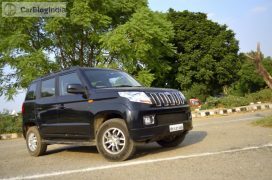 Does the TUV300 have enough to pull buyers away from the EcoSport and into Mahindra showrooms? 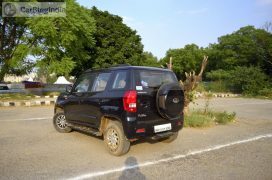 Find out here in our Mahindra TUV300 vs Ford EcoSport comparison. The Mahindra TUV300 is powered by a heavily reworked version of the Quanto‘s 1.5-litre unit. This engine, called the mHawk80, puts a max. power of 84 bhp, which explains the ’80’ suffix in the name. The other engine, the mHawk100 borrowed from the NuvoSport belts out a max. power of 102 hp and peak torque of 240 Nm. This brings it at par with the Ford EcoSport in terms of power output (only the T8 trim), but the TUV300 enjoys more torque (230 Nm/240 Nm vs EcoSport’s 204 Nm). Both come with a 5-speed manual transmission. 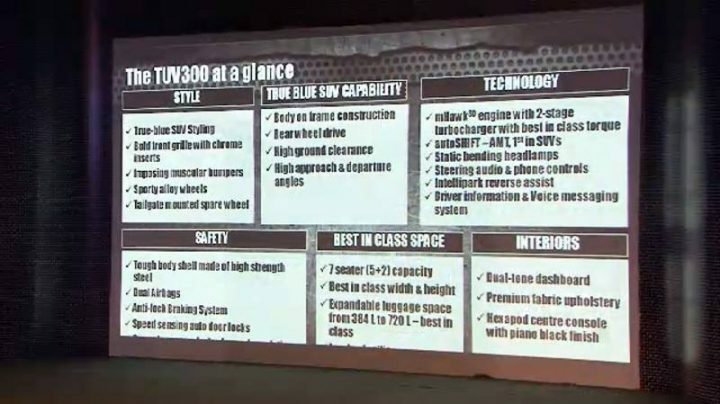 However, the TUV300 also gets a 5-speed AMT, which gives it a slight edge over the EcoSport. The Ford EcoSport is also available with a 110 bhp, 1.5-litre petrol mated to a 6-speed DCT and a 124 bhp, 1.0-litre EcoBoost engine. Mahindra has taken a radically different approach with the styling of the exteriors of the TUV300. Designers have cited battle tanks as the design inspiration and one can easily see why. Straight, crisp lines give the TUV300 a very butch exterior which is in stark contrast to that of the EcoSport. Both cars get a high set bonnet, but the TUV’s is flatter and more angular. The front is reminiscent of the Bolero and even the overall shape has the same utilitarian appeal to it. Rectangular wheel arches, a straight back and a rear mounted spare wheel round off a very butch, yet modern SUV design. The EcoSport has become a familiar face on Indian roads but it still looks very appealing and its design is one of its biggest selling points in India. 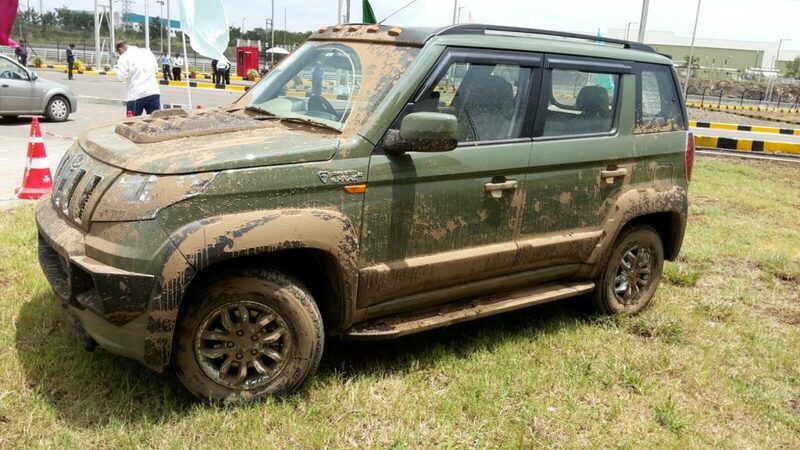 The overall design is more well proportioned as compared to the TUV300’s, but it does not have the same amount of road presence. The diesel version of the Ford EcoSport is priced between INR 7.29-9.75 lacs (ex-showroom, New Delhi). The TUV300 is priced slightly higher in the INR 7.37-9.72 lacs bracket. The TUV300 boast of a long list of equipment for a very competitive price. An integrated audio system, Bluetooth connectivity, multifunction steering wheel, climate control, etc are some of the features that are common on both SUVs. However, the TUV300 benefits from two additional jump seats placed behind the second row which makes it a 7 seater. 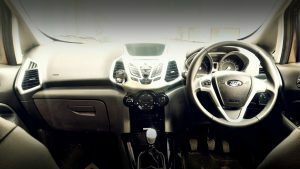 The Ford EcoSport gets keyless entry and push button start/stop and a cooled glove box, automatic headlamps, rain sensing wiper, guide lights, etc. which the TUV300 misses out on. Both these compact SUVs are very competent products. Looks might divide opinion, but we feel the TUV300 has got a distinct appeal to it. Being a Mahindra, the TUV300 comes loaded with features. There is also an AMT on offer which gives added advantage to Mahindra here. 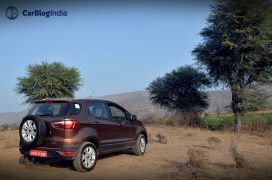 However, following the EcoSport’s price reduction, it has become better value for money and it offers a wider range of engines as well. 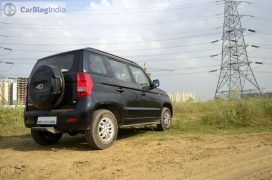 Plus, it is more dynamically sorted than the TUV and is more fuel efficient too. Design – It is a matter of personal taste really. We prefer the EcoSport’s modern lines over the TUV300’s boxy exteriors. 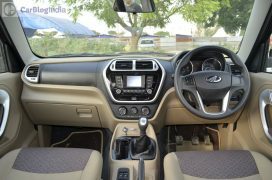 Features – While both cars come with a satisfactory list of features, the EcoSport higher variants are much more feature rich. 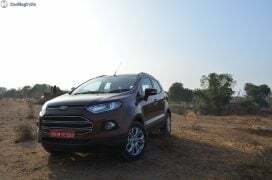 Specifications – Apart from the new mHawk100 variant, the other variants are less powerful as compared to the EcoSport, but churn out more torque. Ford offers a wider choice of engines. Price – The top-spec trims of the EcoSport might be more expensive than the TUV’s, but they offer much more in terms of features. So, what do you have to say about our Mahindra TUV300 vs Ford Ecosport.